The academic and professional world is getting more and more challenging with the passing of years and this is where competitive exams hold massive value. A successful career requires not just potential but excessive hard work, consistent effort and time. Any competitive exams act as a flexible pathway to a successful career. 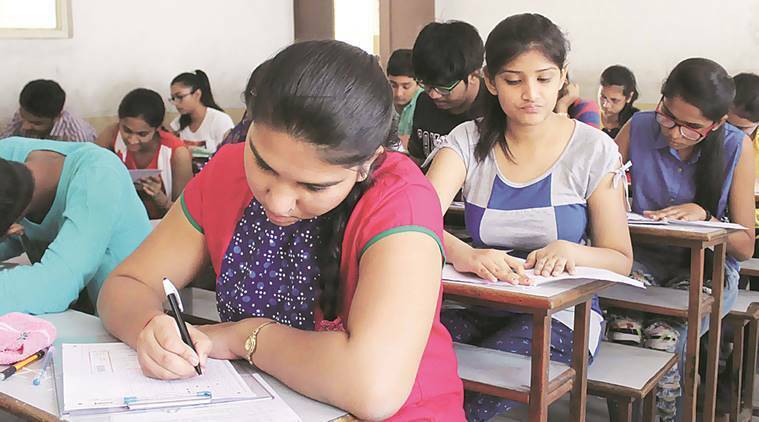 This is the reason a large percentage of the student population are choosing to appear for competitive examinations. One of the most popular exams among those is the JEE Main. A considerable number of students appear for this particular examination every year with the aim to attain better exposure, skills, proficiencies, experience and educational value. This is also helpful for selecting a particular career path as it helps you accurately identify your specific areas of interest and attain in-depth insights about the subjects. But the most challenging part is to crack the JEE main exam successfully. Hence streamlined below are some of the top websites and educational applications that you can use to boost your JEE Mainpreparation and make the best out of your attempt at one go. 1. Eckovation.com – This is one of the top recommended websites that have helped and inspired several students to successfully crack the JEE Main examination. It has really good reviews. It offers the most in-budget course that anyone can afford. This offers plenty of advantages which includes chapter-wise notes, papers for practices, video lectures, All India exam series, peer discussions and even counselling. It is one of the most collaborative platforms where you can attain counselling sessions as well. 2. Embibe.com – This is another website that is quite popular among JEE Main aspirants. It provides you with all the resources that you need for preparation absolutely free of charge. This website not only provides notes and study materials but also highlights the essential chapters and points for you. You can get access to the last year questions, the change in the patterns and more. You can also see the detailed answers to each question on this site. 3. M Learning India – This site has been around in the particular field for more than twenty years. Students often claim that this website helped them significantly and they did not need to rely on any external source or institute. It offers a thousand hours of video lectures in which all detailed areas of JEE Main is covered. All other study materials and resources are available for your use. 4. Toppr App – This requires the least introduction as it is one of the most popular JEE Main prep-application. This is prep application with speedy and advanced features. Starting from pointing out your strengths and weaknesses, analyzing your performance, providing a full-fledged performance data, to presenting detailed solutions to your questions, it offers everything. Your doubts will get clarified within seconds. This is a really time-saving application that will help you reach your target. 5. IIT-JEE Formulae & Notes – this application is really convenient and handy when it comes to usage. It gives excellent user interface. You can get access up to eight hundred videos and forty thousand practice questions. It is great for quick revisions and you can include it in your options. 6. JEE Main Prep App – It is an excellent creation of Mingle box and is a comprehensive application that covers the syllabuses for chemistry, physics, and mathematics. The study materials are highly relevant and to the point. There are also mock test facilities available for each topic. 7. IIT-JEE Previous Year Papers – A special feature of this application is that it presents the questions in n highly interesting quiz format. If you do not have much patience for going through essay-like answers, this is the application for you. It presents you with many inventive and creative features to prepare you and inspire you for your upcoming JEE main. 8. IIT JEE PCM Video Lectures – Everyone prefers videos over long texts these days. As the name already suggests, this application is loaded with interesting videos. The theory parts are mostly transformed into short lectures and explanations. 9. Smart Test: IIT JEE Main Exam – A the name already tells, this application will bring all learning methodologies, resources and features to your fingertips that can make your preparation apt and smart. You will take less time yet you will be able to cover as much questions. The MCQ and quiz questions allow you to brush all the essentials and master the JEE Main syllabus. The best part amount this app is that the contents are collaborative gatherings of several mock papers and JEE papers which helps you get familiar with all question types. 10. JEE MAINs, AIEEE & JEE Advance – This particular application has high ratings and reviews. The contents encompass question papers from the last twelve years. This application gives you an exact idea of the JEE Main exam patterns, criterions and more. You can also test your preparations with the help of its high-end features. These websites and applications are ideal for students who are depended on distant learning or cannot afford a good source for reparation. Not only that, you can even use them as side learning guides to add an edge to your existing preparation for the exam. Most students are dependent on online learning facilities nowadays and you can definitely go ahead and choose from the above-mentioned sites and apps to prepare for your upcoming JEE main examination.